MASON, Otis Tufton. 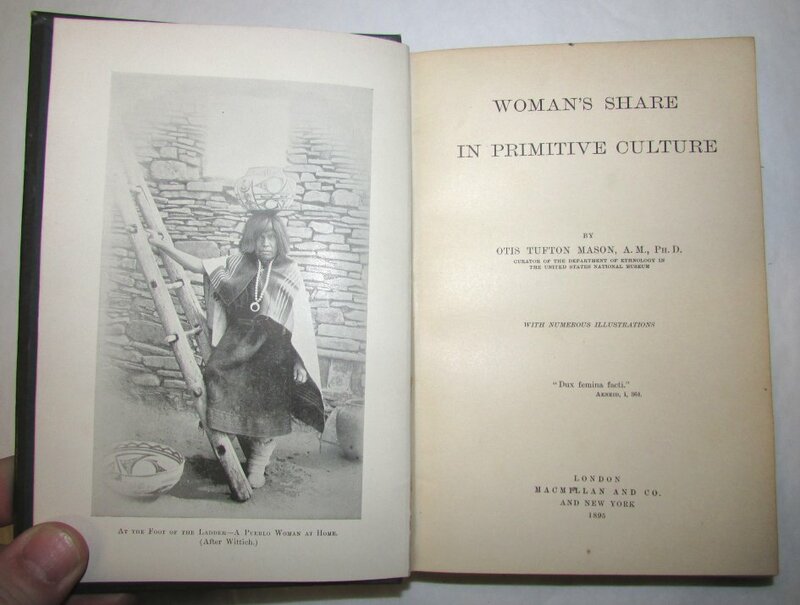 Woman's Share in Primitive Culture. London: Macmillan and Co., 1895. First English edition. 8vo., original brown cloth, (xiv), 295pp. With illustrations. Name on the halftitle otherwise a fine copy. 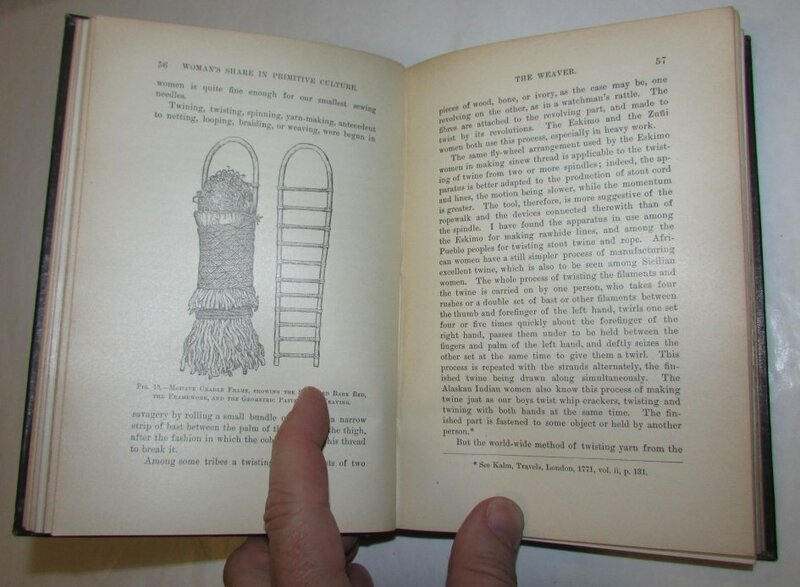 The book is organized into chapters categorized by the role of women in primitive society: the food bearer; the weaver; the skin dresser; the potter; the beast of burden; the Jack-at-all-trades; the artist; the linguist; the founder of society and the patron of religion. Otis Tufton Mason (1838-1908) American ethnologist and curator at the Smithsonian Institution. A graduate of Columbia, he served as the principal of the college's preparatory school which at the same time working part time in the ethnology department of the United States National Museum. In 1884 this became a full time curatorial position and Mason was heavily involved with the installation and reorganization of the Smithsonian when it moved to the new building, developing the �cultural area' concept. He also served as anthropological editor of the American Naturalist and the Standard Dictionary.